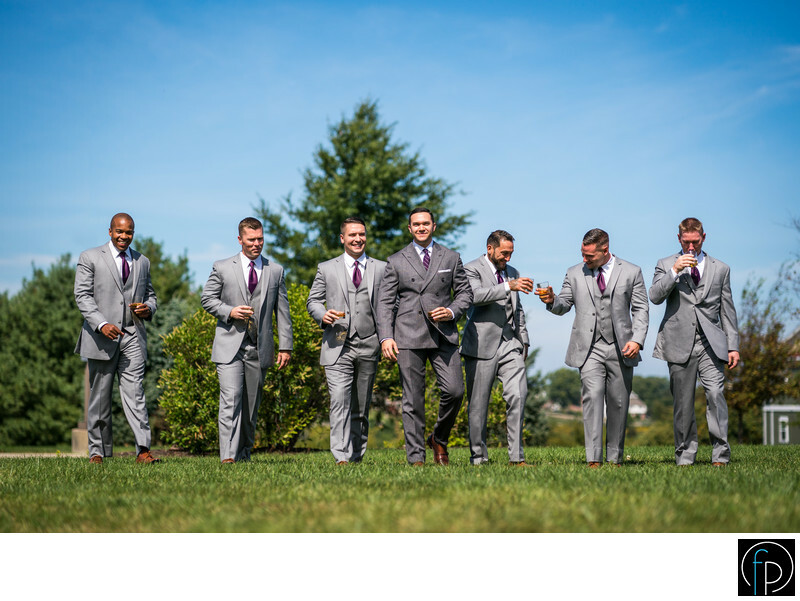 Strolling along the vast lands at John James Audubon Center in Montgomery County, Pa, the groom and his groomsmen walk and toast to a fantastic day ahead at the John James Audubon Center in Montgomery County, Pa. The John James Audubon Center features an 18th-Century fieldstone barn with soaring wooden ceiling that would be perfect for a rustic reception. It also provides an apple orchard and a beautiful winding creek. Audubon is a great venue for any special occasion.